1. Злокачественные новообразования в России в 2015 году (заболеваемость и смертность). Под ред. А. Д. Каприна, В. В. Старинского, Г. В. Петровой. М.: МНИОИ им. П. А. Герцена – филиал ФГБУ НМИРЦ Минздрава России, 2017. Доступно по: http://www.oncology. ru/service/statistics/malignant_ tumors/2015.pdf. [Malignant neoplasms in Russia in 2015 (morbidity and mortality). Eds. A.D. Kaprin, V. V. Starinsky, G. V. Petrova. Moscow: MNIOI imeni P. A. Hertzena – filial FGBU «NMIRC» Minzdrava Rossii, 2015. Available at: http: //www.oncology.ru/service/statistics/ malignant_tumors/2015.pdf. (In Russ.)]. 2. Злокачественные заболевания в России в 2011 году (заболеваемость и смертность). Под ред. В. И. Чиссова, В. В. Старинского, Г. В. Петровой. М.: ФГБУ «МНИОИ им. П. А. Герцена» Минздрава России, 2013. Доступно по: http://www.oncology.ru/service/statistics/malignant_tumors/2011. pdf. [Malignant neoplasms in Russia in 2011 (morbidity and mortality). Eds. V. I. Chissov, V. V. Starinsky, G. V. Petrova. Moscow: MNIOI imeni P. A. Hertzena Minzdrava Rossii, 2013. Available at: http://www. oncology.ru/service/statistics/malignant_tumors/2011.pdf. (In Russ.)]. 3. NCCN Clinical practice guidelines in oncology. Uterine neoplasms. Version 1.2017. Available at: https://www.nccn.org/professionals/physician_gls/pdf/uterine.pdf. 4. Приказ Минздрава России от 27 мая 2002 г. № 163 «Об утверждении отраслевого стандарта «Клинико-экономические исследования. Общие положения». Доступно по: http://www.webapteka.ru/phdocs/doc2667. html. [Executive order of the Ministry of Health of the Russian Federation from 27 of May, 2002 No. 163 “On approval of the industry standard “Clinical and economical studies. General provisions”. Available at: http://www. webapteka.ru/phdocs/doc2667.html. (In Russ.)]. 5. Corpus uteri. In: AJCC Cancer Staging Manual. Eds. S.B. Edge, D.R. Byrd, C.C. Compton et al. 7th ed. New York: Springer, 2010. 6. Walker J., Piedmonte M., Spirtos N. et al. Laparoscopy compared with laparotomy for comprehensive surgical staging of uterine cancer: Gynecologic Oncology Group Study LAP2. J Clin Oncol 2009;27:5331–6. DOI: 10.1200/jco.2009.22.3248. 7. Walker J., Piedmonte M., Spirtos N. et al. Recurrence and survival after random assignment to laparoscopy versus laparotomy for comprehensive surgical staging of uterine cancer: Gynecologic Oncology Group LAP2 Study. J Clin Oncol 2012;30(7):695–700. DOI: 10.1200/jco.2011.38.8645. 8. Seracchioli R., Venturoli R., Ceccarini M. et al. Is total laparoscopic surgery for endometrial carcinoma at risk of local recurrence? A long-term survival. Anticancer Res 2005;25:2423–8. PMID: 16080469. 9. Palomba S., Falbo A., Russo T. et al. Updating of a recent meta-analysis of randomized controlled trials to assess the safety and the efficacy of the laparoscopic surgery for treating early stage endometrial cancer. Gynecol Oncol 2009;114:135–6. DOI: 10.1016/j.ygyno.2009.03.025. 11. Siesto G., Uccella S., Ghezzi F. et al. Surgical and survival outcomes in older women with endometrial cancer treated by laparoscopy. Menopause 2010;17:539–44. DOI: 10.1097/gme.0b013e3181c4e9f5. PMID: 20032796. 12. Colombo N., Creutzberg C., Amant F. et al. ESMO-ESGO-ESTRO consensus conference on endometrial cancer: diagnosis, treatment and follow-up. Ann Oncol 2016;27:16–41. DOI: 10.1093/annonc/mdv484. 13. Wright J., Neugut A., Wilde E. et al. Use and benefits of laparoscopic hysterectomy for stage I endometrial cancer among medicare beneficiaries. J Oncol Pract 2012;8(5):e89–99. DOI: 10.1200/jop.2011.000484. 14. Zullo F., Falbo A., Palomba S. et al. Safety of laparoscopy vs laparotomy in the surgical staging of endometrial cancer: a systematic review and metaanalysis of randomized controlled trials. Am J Obstet Gynecol 2012;207:94–100. DOI: 10.1016/j.ajog.2012.01.010. 15. Берлев И. В., Ульрих Е. А., Некрасова Е. А. и др. Эндовидеохирургия (минимальная инвазивная хирургия) в лечении злокачественных опухолей женских половых органов: 5-летний опыт клиники ФГБУ «НИИ онкологии им. Н. Н. Петрова» Минздрава России. Вопросы онкологии 2016;62(2):196–207. [Berlev I. V., Ulrikh E. A., Nekrasova E. A. et al. 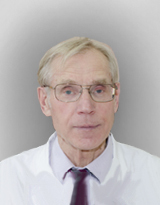 Endovideosurgery (minimally invasive surgery) in treatment for malignant tumors of female genital organs: a 5-year experience of the clinic of the N. N. Petrov Research Institute of Oncology. Voprosy onkologii = Problems in Oncology 2016;62(2):196–207. (In Russ.)]. 16. Chen B. P.-H., Cheng H., Romney M. et al. Literature review on hospital costs for patients undergoing hysterectomy. Jefferson college of population health posters. ISPOR 21th Annual International Meeting, May 21–25, 2016, Washington DC, USA. Available at: http://jdc.jefferson.edu/jcphposters. DOI: 10.1016/j.jval.2016.03.1431. 17. Barnett J. C., Judd J. P., Wu J. M. et al. Cost comparison among robotic, laparoscopic, and open hysterectomy for endometrial cancer. Obstet Gynecol 2010;116(3):685–93. DOI: 10.1097/aog.0b013e3181ee6e4d. 18. Wright J. D., Herzog T. J., Neugut A. I. et al. Comparative effectiveness of minimally invasive and abdominal radical hysterectomy for cervical cancer. Gynecol Оncol 2012;127(1):11–7. DOI: 10.1016/j.ygyno.2012.06.031. PMID: 22735788. 19. Bell M. C., Torgerson J., Seshadri-Kreaden U. et al. Comparison of outcomes and cost for endometrial cancer staging via traditional laparotomy, standard laparoscopy and robotic techniques. Gynecol Оncol 2008;111(3):407–11. DOI: 10.1016/j.ygyno.2008.08.022. 20. Landeen L. B., Bell M. C., Hubert H. B. et al. Clinical and cost comparisons for hysterectomy via abdominal, standard laparoscopic, vaginal and robot-assisted approaches. S D Med 2011;64(6):197–9, 201, 203 passim. PMID: 21710804. 21. Wright K. N., Jonsdottir G.M., Jorgensen S. et al. Costs and outcomes of abdominal, vaginal, laparoscopic and robotic hysterectomies. JSLS 2012;16(4):519–24. DOI: 10.4293/108680812x13462882736736. 22. Yu X., Lum D., Kiet T. K. et al. Utilization of and charges for robotic versus laparoscopic versus open surgery for endometrial cancer. J Surg Oncol 2013; 107(6):653–8. DOI: 10.1002/jso.23275. PMID: 23129514. 23. Jonsdottir G. M., Jorgensen S., Cohen S. L. et al. Increasing minimally invasive hysterectomy: effect on cost and complications. Obstet Gynecol 2011;117(5):1142–9. DOI: 10.1097/aog.0b013e3182166055. PMID: 21508754. 24. Venkat P., Chen L. M., Young-Lin N. et al. An economic analysis of robotic versus laparoscopic surgery for endometrial cancer: costs, charges and reimbursements to hospitals and professionals. Gynec Oncol 2012;125(1):237–40. DOI: 10.1016/j.ygyno.2011.11.036. 25. Abdelmonem A., Wilson H., Pasic R. Observational comparison of abdominal, vaginal and laparoscopic hysterectomy as performed at a university teaching hospital. J Reprod Med 2006; 51(12):945–54. PMID: 17253042. 26. Reynisson P., Persson J. Hospital costs for robot-assisted laparoscopic radical hysterectomy and pelvic lymphadenectomy. Gynecol Oncol 2013;130(1):95–9. DOI: 10.1016/j.ygyno.2013.04.014. 27. Baffert S., Alran S., Fourchotte V. et al. Laparoscopic hysterectomy after concurrent radiochemotherapy in locally advanced cervical cancer compared to laparotomy: A multi institutional prospective pilot study of cost, surgical outcome and quality of life. Eur J Surg Oncol 2016;42(3):391–9. DOI: 10.1016/j.ejso.2015.09.010. 28. Coronado P. J., Herraiz M. A., Magrina J.F. et al. Comparison of perioperative outcomes and cost of roboticassisted laparoscopy, laparoscopy and laparotomy for endometrial cancer. Eur J Obstet Gynecol Reprod Biol 2012; 165(2):289–94. DOI: 10.1016/j.ejogrb.2012.07.006 PMID: 22819573. 29. Desille-Gbaguidi H., Hebert T., Paternotte-Villemagne J. et al. Overall care cost comparison between robotic and laparoscopic surgery for endometrial and cervical cancer. Eur J Obstet Gynecol Reprod Biol 2013;171(2):348–52. DOI: 10.1016/j.ejogrb.2013.09.025. 30. Bijen C. B., Vermeulen K. M., Mourits M. J. et al. Cost effectiveness of laparoscopy versus laparotomy in early stage endometrial cancer: a randomised trial. Gynecol Oncol 2011; 121(1):76–82. DOI: 10.1016/j.ygyno.2010.11.043. 31. Lu Z., Yi X., Feng W. et al. Cost-benefit analysis of laparoscopic surgery versus laparotomy for patients with endometrioid endometrial cancer: Experience from an institute in China. J Obstet Gynaecol Res 2012;38(7):1011–7. DOI: 10.1111/j.1447–0756.2011.01820.x. 32. Lee M., Kim S. W., Paek J. et al. Comparisons of surgical outcomes, complications, and costs between laparotomy and laparoscopy in early-stage ovarian cancer. Int J Gynecol Cancer 2011;21(2):251–6. DOI: 10.1097/igc.0b013e318208c71c. 33. Tapper A. M., Hannola M., Zeitlin R. et al. A systematic review and cost analysis of robot-assisted hysterectomy in malignant and benign conditions. Eur J Obstet Gynecol Reprod Biol 2014;177:1–10. DOI: 10.1016/j.ejogrb.2014.03.010. 34. Abaid L., Boggess J., Wu J. et al. Laparoscopic treatment of endometrial cancer: A cost-effectiveness analysis. J Clin Oncol 2006;24(18S):6127.